Certain special issue numbers of comic books are a rarity that are often sought out by a great deal of collectors. As far as certain comic books go, they will only reach that particular milestone once, and when they do they will brazenly proclaim the fact with nice enticing covers, special variants, and much more. Issue #100, particularly, is always a number sought after by a lot of collectors. Although big names such as Batman, Detective Comics, Spiderman, etc would be extremely rare to find, some fan favorite comic books have just published their #100 and are still plentiful in the market. For example, the comic series “Fables.” “Fables” published by Vertigo is the story of well-known storybook characters who, after being exiled from their homelands, form their own community and are thus subject to the cruel reality of the world. 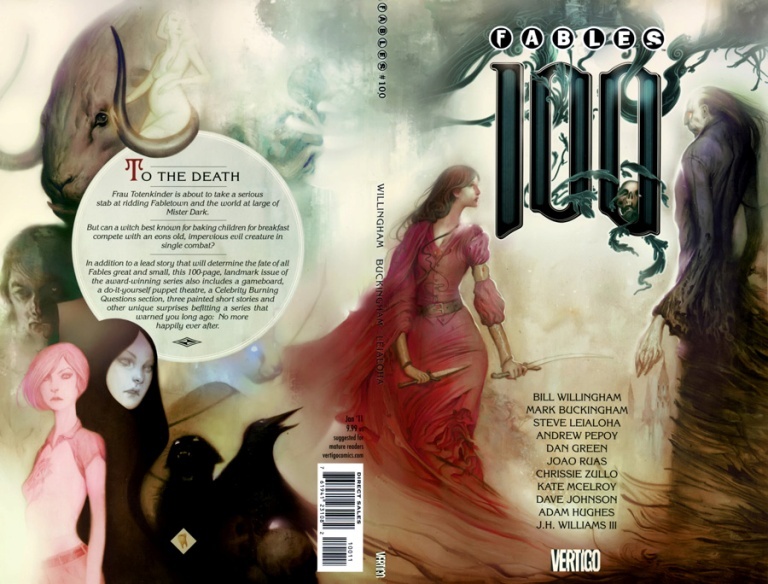 A beautiful comic book with a very nice storyline, “Fables” just reached its 100th issue on December 8th 2010. It is a very special issue and it is recent enough for anyone to find hidden in a local comic book shop. Similarly, although the comic series “100 Bullets” has finished for a while, the 100th issue of “100 Bullets” can still be found lingering around in some comic book stores. Look out for any #100 issues, as they are usually very sought after. Although the number 666 has often been associated with the devil, some comic books have made it to their 666th issue, and have taken full advantage of the correlation by depicting evil throughout their pages. 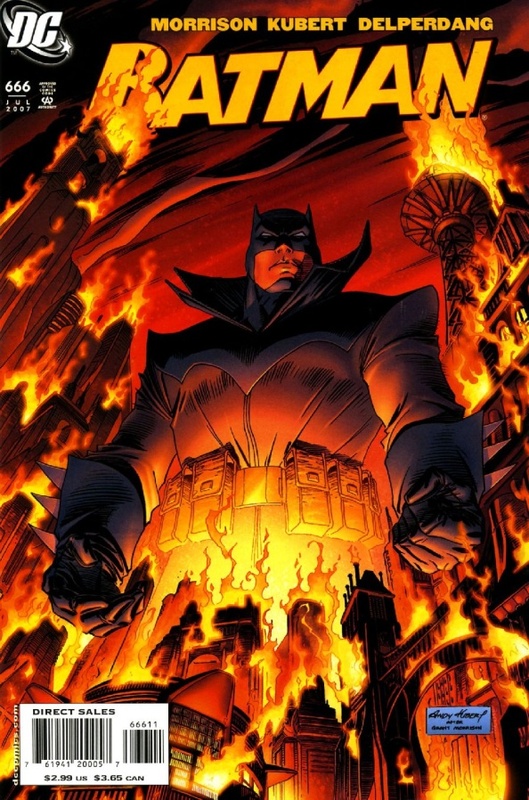 Batman and Superman reached their 666th issue a few years back for instance, and both of them featured a tale where the character either turned evil or fought with demons. To mark the occasion their covers featured them as evil as seen below with Batman. As disturbing as they may sometimes seem, these issues are very sought after, so keep your eyes out for any incoming 666 issues. One very peculiar #666 issue is Spiderman #666. Although Marvel merely used that issue as a prequel to Spider Island, a Spiderman storyline, they did something special. 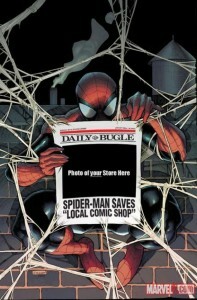 Every comic book vendor that ordered a minimum of 500 store variants would receive a customized entry with the store’s picture on the front, and an interior design. If anyone happens to stumble upon any such comic book that is for sale, however, be wary that although very rare it may or may not be collectable depending on the collectors there. If you are buying the issue simply to collect it though, I would encourage you to go for it. If you are in fact, buying to resell, be wary of the price tag and the demand for such a comic. Year anniversaries also tend to be significant. As of 2012, for instance, Spawn is celebrating its 20th anniversary with issues to match. Although yearly anniversaries are not as sought after as specific numbered issues as the year anniversary is a relatively new thing, there is nothing wrong with purchasing these comics which could potentially be worth some money later on. 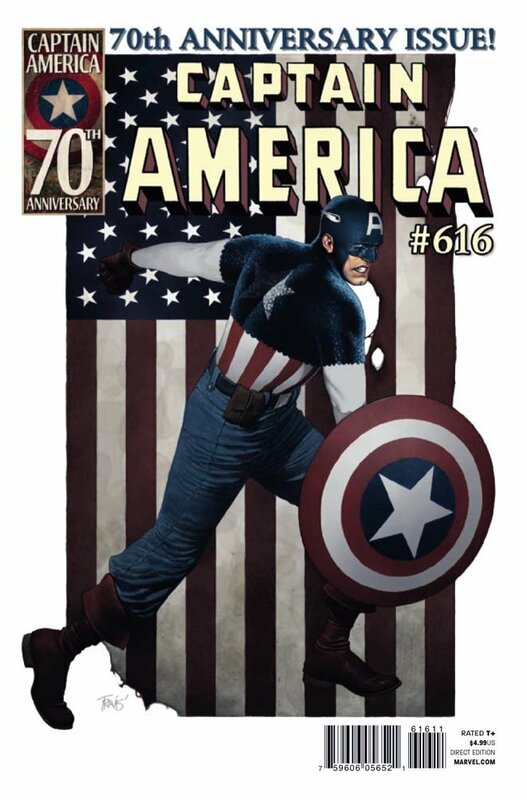 With Captain America celebrating his 70th anniversary last year for example, there may be some issues of it left around in some comic book shops so it’s worth the search. Needless to say, number 1 issues of any series are the ones which are worth more. 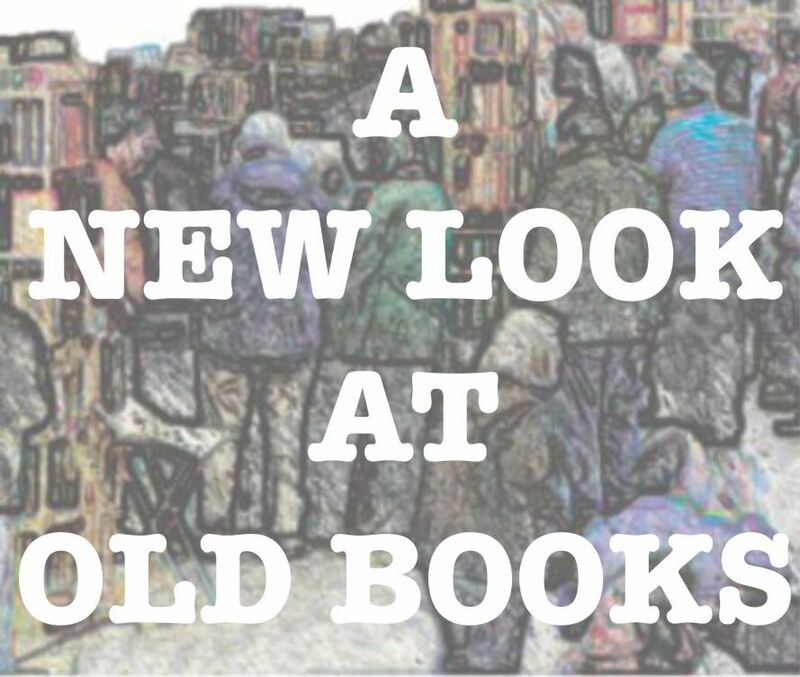 If a series is successful and becomes popular, the first issue often gains value, rarity, and collectivity as time goes on. This has been discussed before, but now it’s time for another aspect of the same coin. With DC rebooting the majority of their comic books, there is a Batman #1 out for grabs. While the reboot happened a few months ago, you will find that some stores still have some issues #1 around if you look or ask. These number ones do not have any value yet; they are new and most of the world has already bought them. So why get them? Simply because your grandfather or father likely once bought a Spiderman #1 thirty or so years ago, and look at where its value now is. Nevertheless, investing on first issues is a tricky process. It takes a long time to get the rarity and monetary value up, and it takes a bit of luck to have a comic become popular, but you may never know how much the Batman #1 you bought two months ago might be worth in 20 years’ time. 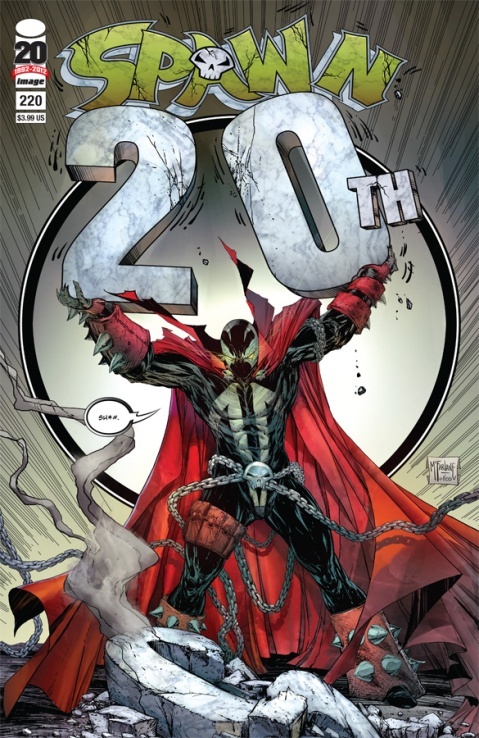 In addition, limited series or short series arcs featuring popular characters such as the Wolverine, Weapon X, X-Men noir, or X-force, tend to have some collectible value whether it is the first issue or as a whole collection. As a rule of thumb walk into your local comic book store, and look for issues featuring popular characters that have a numbering saying something like “1 out of 6″. This means that this series or story arc will be only 6 issues. Ask around or buy it, and check if its artwork and storyline are good. If they are, proceed to buy the entire collection. The rewards for scoping out an entire series such as these can prove to have some valuable benefits. People who have bought Marvel’s Civil War in comic books, for example, are in for a treat in a few years’ time as these comic books are gaining more and more rarity, and there is now a demand for them. Overall, it takes a stroke of luck and some healthy amount of research to get into collecting numbered comics. However, if done right, these are the issues that will most likely be worth quite a bit alongside event issues which we shall discuss in the next article to come up soon. 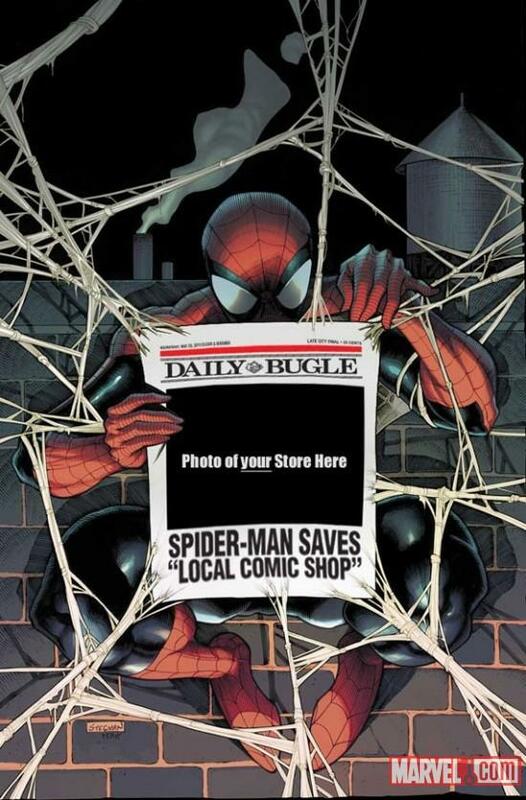 Until then, keep collecting and support your local comic book shops.